30,000 Broaded Credits ~ a Christmas gift from Jackson! →30,000 Broaded Credits ~ a Christmas gift from Jackson! Hi everyone it’s Christmas season and gifts are flying from one end to the other. It’s your turn if you are a BroadedNet user. Don’t know what broadedNet is? Check out this post! Briefly, its a traffic platform for bloggers. Sign up and start pulling traffic today. BroadedNet is counting about 700 active bloggers. The network is growing and will soon become a serious traffic generator. It functions on a credit system. Check out this How it works page for details. The FAQs page too can also answer some questions. Jackson Nwachukwu is a great blogger from Nigeria. This guy is awesome and so many of us know it. He shared with us on this post how his traffic grew from using broadedNet. He’s popularly known as the WorthBlogger and was my featured blogger last week. Jackson has just bought 30,000 broadedNet credits. That’s $100 and he said I should share the credits among broadedNet members. This is going to go to the first 60 broadedNet members. I have generated a coupon code for you to pinch your share of the cake. This will give you up to 500 free credits. This will take you to the coupon form. Just copy the code JACK50 and paste in the field. Click ‘Redeem‘ to move 500 credits to your account. On the top menu in your broadedNet account, click ‘Create Campaign‘ Fill the form, wait for approval from admin and start seeing traffic. You don’t need to comment, share or vote on broadedNet. All you are required to do is add your articles. That’s simple. If you want to earn more credits, be sure to add this Widget to your blog. NB: On the campaign creation form, the more credits you offer, the more exposure you get. You too can make a gift on BroadedNet! I’ll be excited if you too own up to share a gift during this season. I’ll write a blog post about you or your product and share it to broadedNet members. While that will be a wonderful gesture, it will give you some pretty neat exposure. Visit Jackson’s blog here and interact with him. I Know from here that by the help of broadednet, We can get traffic. Now i will also use it to get traffic. I have one question that is the traffic coming from broadednet is real? i mean many of traffic generation sites are sending fake traffic…. Hello Adarsh Sojitra, Like you said there are many traffic generation sites sending fake traffic. Temilola Globalwalyy recently posted…What is Thyroid Cancer, Symptoms and Causes. Now we all have doubts because of so many fake things that happen online these days. However, there are a lot of traffic generation tools that are still on top of the game and broaded is surely one of them. Did you read the post very well? You would have seen practical example of what broaded has done for me. Driving traffic to a 3 weeks old blog with comments is something you can’t even get from Google on a short period. So to answer your question Adarsh broaded is real just as the traffic coming from it. Just go ahead and start using it, soon you will be the one singing the praises. You too should have the best of the day and the season too! Dear Jackson, i am also one of the people that grab the Coupon. I want to thank you so much. I hope you all the best and happy new year 2015 to you and your family. Thanks do much Jackson. You’ve been really kind to Broaded members in these past few weeks. I wish you all the very best! Thanks Enstine for making this possible! We meet again on Enstine Muki’s blog! Yea, we all are in celebration period, so I thought of something I can do to inspire broaded users and this came to mind. It may not be the best Christmas gift ever, but as a blogger concerned with traffic, it will go a long way in helping you spread your blog content. Uju, I am really happy engaging with you once again on Enstine’s blog. Hello Jackson, you are indeed a kind member of BroadedNET, am glad i was among the first set of people that grab the Coupon. We all at Broaded are bothers and sisters and so motivate each other one way or the other. I am glad you grabbed this in its hot stage. Go ahead and enjoy it my friend. Jackson, thanks so much. May you be rewarded abundantly for this. Thank you so much for your generous gifts (plugin and credits). I am a new member (about 1 day, I think), so I am still learning about this. Have a great day and thank you both, again. I just grab one and active that promote code, success to get 500 credits. Thats a great thing from Jackson he is a great guy as far as i know his personally!! thumbs up!! Thanks Enstine for let us know. 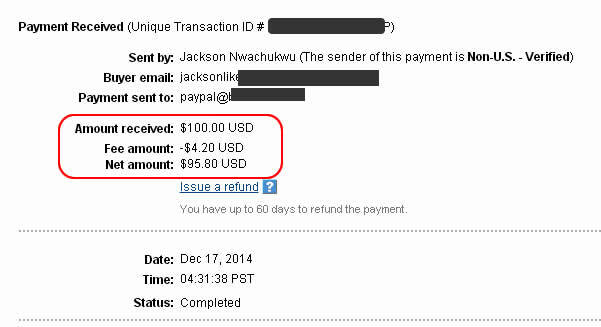 And thank you Jackson for your generosity. Erik recently posted…Murray Newlands Talks about Getting PR for Your Startup – Interesting for Bloggers Too! first of all thanks Jackson for this giveaways. No doubt broaded.net is the best traffic generating system. Thanks enstine muki for creating such an awesome blog promotion platform. thanks for the coupon code.. Already luking at a huge number of it nw. Hey! Thanks so much Jackson Nwachukwu for this awesome gift. Indeed you have a large heart. God bless you! And Enstine Muki? God bless you tremendously. You are doing a great job. Thanx jackson for this free gift of 500 credits. Broaded is helping us to get free traffic and with these ectra credits we can get more traffic to our blog. Broaded is helping us to get free traffic and with these extra credits. We can get more traffic to our blog. I just grabbed this credits with both hands! Am a big fan of FREE broaded credits and I could not resist check out this post to grab the coupon! Big thanks to you guys! Jackson and Enstine!!! Merry early Christmas to you and Jackson and I definitely appreciate the gift you had for all of us. It’s truly a blessing to come upon you and the things you do for the blogging community. Broaded.net is growing quite fast it looks and it’s very user friendly. Anyone who is a blogger should definitely take advantage of the opportunity to sign up. Thanks for the share and the gift! Take Care! You probably are matching BroadedNet with some third-party services such as paid-to-click, paid-to-surf, auto-surf, and click-exchange programs. It’s absolutely not because no member will connect to click to get rewarded. This is an ad platform that runs like Google Adsense or similar tools. It does not generate impressions in any way. Artificial clicks occur when people click to get rewarded (earn money, points, coins, etc) and that happens within users accounts on the platform itself. If you understand the functioning of broadedNet, you will notice this doesn’t constitute any source of artificial traffic. Take for instance, you post a campaign on broadedNet. That campaign gets shown on my blog here and someone visiting my blog, sees your link on my sidebar and clicks to visit your blog. Tell me how that traffic is artificial. You’re partially right. As long as I know Google wants to treat webpages according to their quality. So if you grab your visitor from a network, there is no place of quality measurement. Registering with the network will send you visitors no matter whether they are or are not interested on that page. While using such network will not hurt you much, it can tend to cancellation of your Adsense account. I know some bloggers who got their A/C banned for using some related article services like Outbrain or something like that. The main thing that helps Google is quality measurement is user engagement and where they click from is no much of an issue. Note that you can still get clicks from Google Page #1 and and still be considered as low content. Mind you, if you get traffic from SE with high bounce rate, low time on site, etc, that’s going to feed Google with negative signals from your site. If you have hight CTR with high bounce rate, watch out. Remember that broadedNet is never going to be a referral source of traffic though. Besides, links on broadedNet widget are nofollow, pointing to broaded platform with absolutely no backlinking possibility. You mentioned outbrain but that’s completely a different ballgame. BroadedNet doesn’t scrap your content to show on other sites (with noindex meta tag like the case of outbrain). What it shows from your campaigns are titles (just like Adsense does) with absolutely no SEO implications. If the network in question is BroadedNet, then you are ABSOLUTELY WRONG. If your article titles are not attractive or not in the appropriate category (on other blogs not on broadedNet platform), no one is going to click. Remember, no one is clicking on broadedNet to earn any thing. People click the links because they think (from your title) to get some useful content. Besides, there is NO BROWSING on broadedNet platform to earn some points. I can imagine why some bloggers got their Adsense account cancelled. Simple reason is when you join a network that completely publishes other articles on your blog with noindex option, you may run into trouble with any account that displays ads on that content from the network. As you know, BroadedNet does not generate content for blogs. It’s simply and ad network. Bloggers have to work out their content and not depend on broadedNet. Thanks for this great gift for all of us. I am enjoying it and its great keep going. A Big Thanks to Jackson for this Xmas gift. You have been a blessing to the blogging community ever since you have launch your Worth Blogger platform site. But i have question for Estine Muki, my account i snot working any more. — Your API is dormant You cannot add more campaigns. Please install the Widget on your website. Once installed, we will remove the limit on your account. Thanks to Jackson for the generous gift, and I have been lucky enough to be fast enough to claim the code. More happily I have been releasing two ebooks, which has been a challenge on top of everything else. But here I am again, and glad to have been notified about this generous offer. 24,000 BroadedNet Credits Gift From Adesoji Adegbulu!